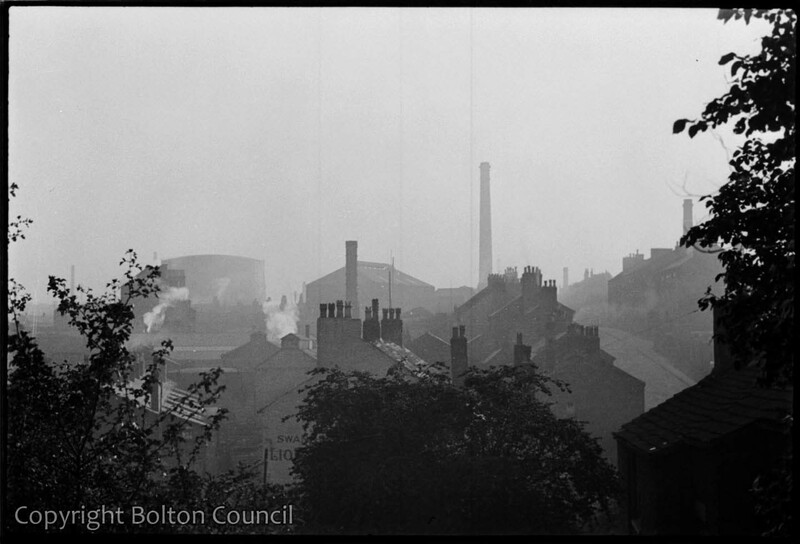 View from Park Road over the rooftops of Chorley. This photograph was wrongly thought to have been taken from Mere Hall in Bolton for many years. The Swan Hotel is visible amongst the buildings.